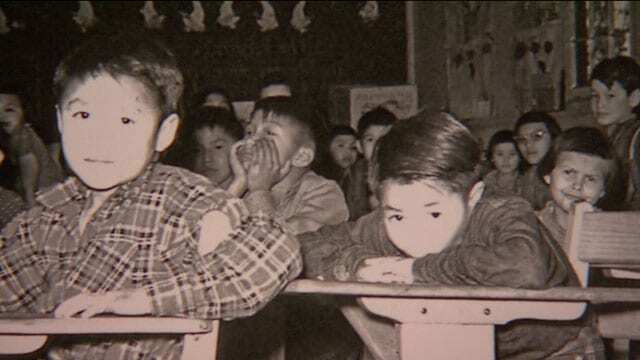 Young children at a residential school (APTN file). Day school survivors may be promised an easier time obtaining compensation under a proposed national settlement agreement but critics say they still need a lawyer of their choice. “Even if it’s a paper-filing process people will still need access to legal counsel,” said Lisa Abbott, an Indigenous lawyer in Saskatoon. 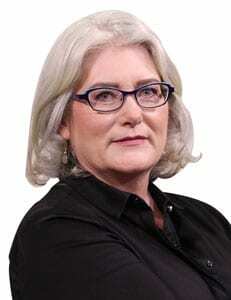 Abbott is one of several lawyers with experience representing residential school survivors in the Independent Assessment Process (IAP), who are voicing concerns about the McLean Day School settlement announced by Crown-Indigenous Relations Minister Carolyn Bennett last week. The IAP was the compensation portion for serious physical and sexual abuse under the Indian Residential Schools Settlement Agreement. The day school agreement, which was designed by the law firm Gowling WLG and subject to court approval in May, is proposing compensation in the range of $10,000 to $200,000. But doesn’t include an IAP-type adjudication hearing. Instead, survivors will fill out forms and submit supporting documents and witness statements. They also have the option of making a video statement, said Jeremy Bouchard, a lawyer and partner at Gowling in Ottawa. “What really drove us in designing this process is we really wanted to make it as user friendly as possible,” he said in a telephone interview Friday. But Abbott, who represented 500 IAP claimants, thinks that will short-change survivors. Nick Racine, another lawyer from Saskatoon who represented 300 IAP clients, agreed, and chastised Gowling for “demonizing” the IAP. “Garnering support for the proposed day school agreement – it should not include fear-mongering and misinformation,” Racine said. He acknowledged the IAP did “have its faults,” but said it was lawyers that claimants “did not know and did not trust on a personal level” that failed them, and not the system itself. “Here, we have a process being proposed that severely limits claimants ability to have the direct, personal assistance of a lawyer they know and trust,” Racine said. Both Racine and Abbott wonder about mental health support for survivors before, during and after they apply for compensation – especially if a claimant is working alone. They also worry claimants will be rushed through the one-year process compared to the five-year window for the IAP. And, they insist individual lawyers are needed to ensure claimants get the compensation they deserve. “They’re filling out a form that is asking them very specific, detailed questions that takes them back to a time in their life when they were physically, emotionally and sexually abused,” said Racine. Racine said he made sure to meet in person with residential school claimants who suffered sexual abuse. Bouchard said Gowling is open to hearing concerns and incorporating them into the agreement. But some things need the personal touch of a lawyer, argued Abbott. Abbott doesn’t believe one firm – Gowling – can handle all of the estimated 130,000 claims. Nor, said Racine, is there incentive for Gowling “to assist people with their claims and make them as successful as possible” when it will receive $55 million 30 days after the settlement is approved. “This is a great process for the government,” added Racine, an Indigenous lawyer in Saskatoon. Bouchard, a Mohawk from Six Nations of the Grand River, agreed the day school settlement is “fundamentally” different from the residential schools settlement. He said Gowling lawyers travelled the country to hear first-hand what survivors wanted and reflected that in the settlement. Bouchard said that’s why the application process is only one year and has reduced the number of lawyers involved. “A lot of people just felt they got lost, they got re-traumatized,” he said. He said these could take the form of national and regional events where survivors could share and document their experiences. “We understand that people will want to tell their stories. And we think that there’s an educational component to this, too,” Bouchard said.